Merry Christmas from the Velvet Lime Girls. Peace. It's wrapped itself all around each one of the Velvet Lime Girls lately. Around Laura, with a husband just coming out of the Emory Hospital ICU, around Marybeth, with a daughter overcoming a concussion, and around Rebecca, as she and her amazing team oversee the 1000+ children at Northpoint Church. 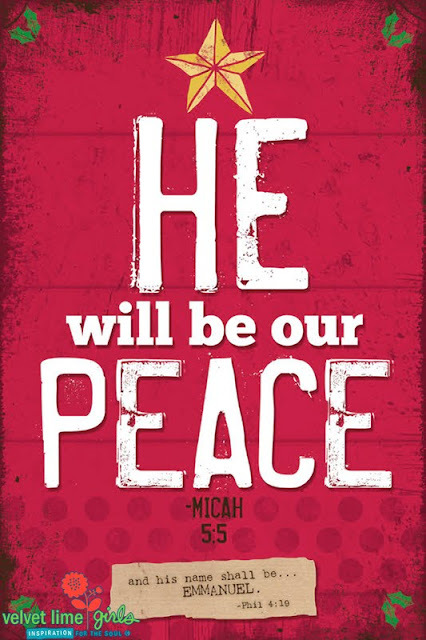 Yeah, we've each experienced a peace that transcends all comprehension lately, and we just had to let you know, if you're facing some kind of challenge or amazing busyness this Christmas season, there really is a peace that can hold you and calm you. So, we've created a simple graphic for you today as a gentle reminder that the Prince of Peace wants to come into your life and bring a calm that can settle any storm or any busyness you may be facing today. P.S. If you're in need of a little extra comfort today, pour yourself a cup of tea, and settle-in to the words of this Comfort Song. Even if the music style isn't your cup of tea, the soothing words here promise to bring healing to any heavy hearts out there. There are long pauses, so soak in the whole ten minutes of comfort and peace. 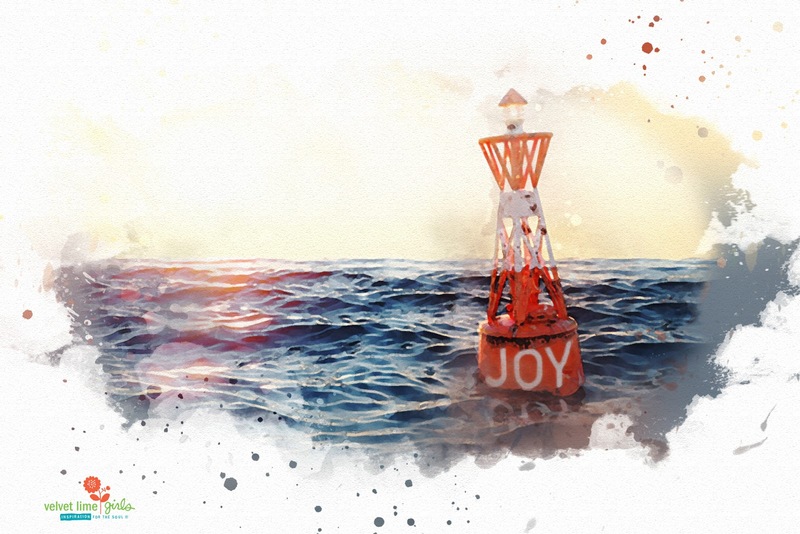 JOY is the third buoy to safe harbor that we'll talk about during this breast cancer awareness month. 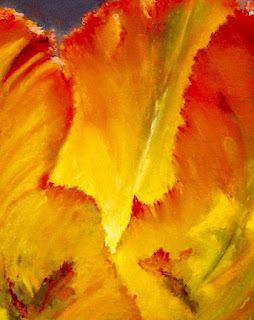 Joy will buoy your spirit and life to a healthy, happy and whole place. 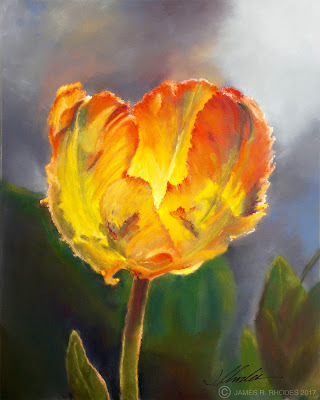 For those overcoming breast cancer, finding a little joy each day is an essential daily requirement. We've found a few simple sources of random joy that can brighten even the weariest of days and we'd like to pass a few on to you right here. So, just stepping out into the sunshine can increase your vitamin D level and start you down a healthier path! Obviously, a little vitamin D supplementation will need to go along with that sunshine exposure and both Dr. V and Dr. Mercola offer vitamin D suggestions on their sites. We hope you check these info links out and treat yourself to a little time in the sunshine today. Yep, just a simple laugh! It's more powerful that you can imagine. Mmm... did someone say chocolate? Yes, you read that right! 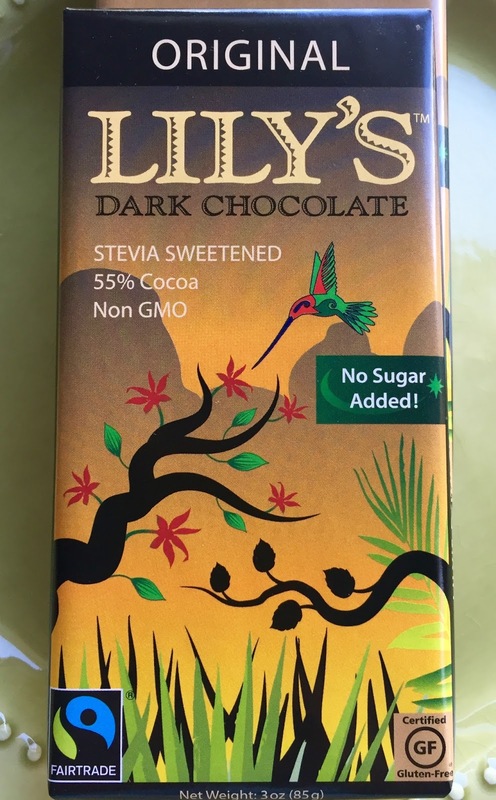 In moderation, a little bit of quality chocolate is quite beneficial and will certainly bring a little joy into your day. Yum! 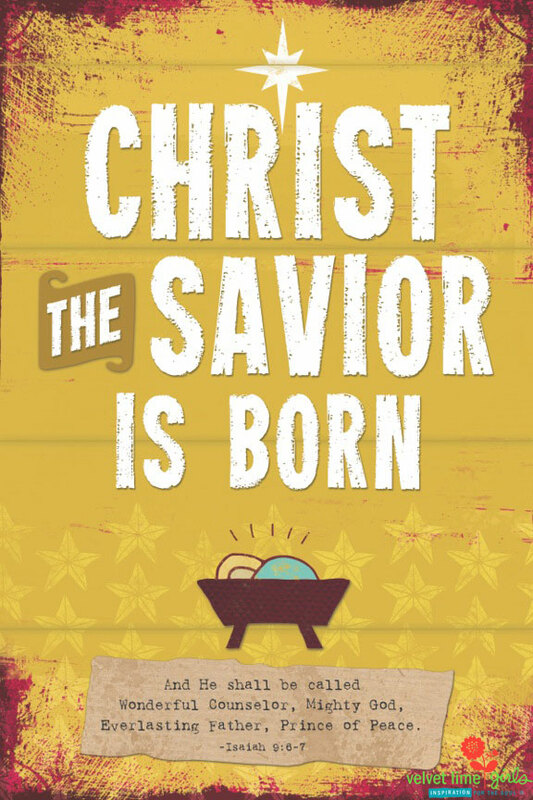 Since we're tossing out random ideas on sources of joy, we'll wrap up with one last idea today. These are just a few of the random sources of joy we've experienced lately. We hope you'll share some of your little joys, (your "buoys of joy"), that have perhaps brought you into a safer harbor on your healing journey. We'd love to hear from you and be inspired! 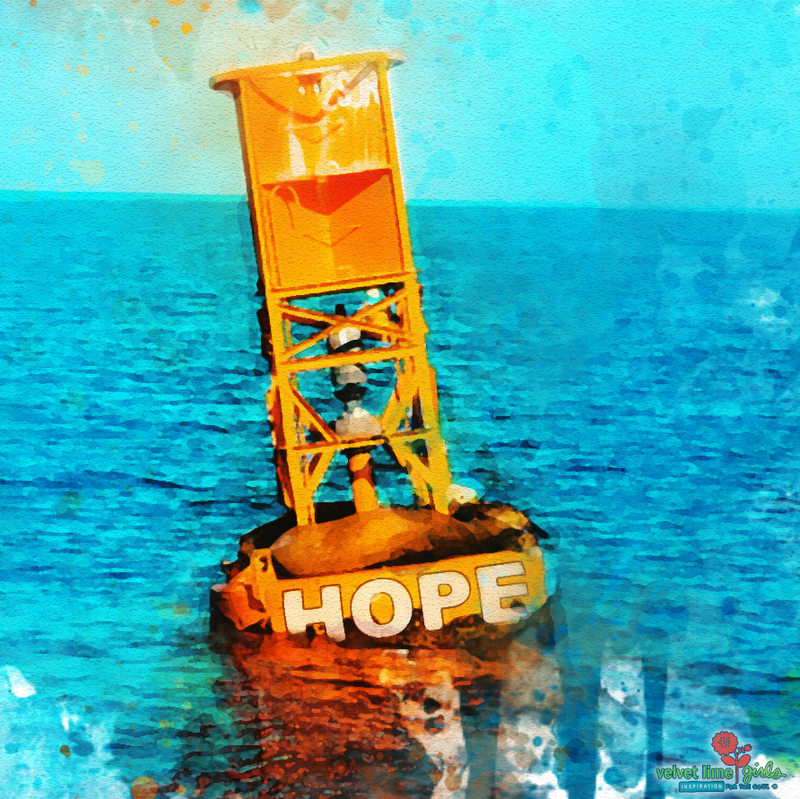 Today we're continuing our focus on Breast Cancer Awareness month with another buoy of hope. 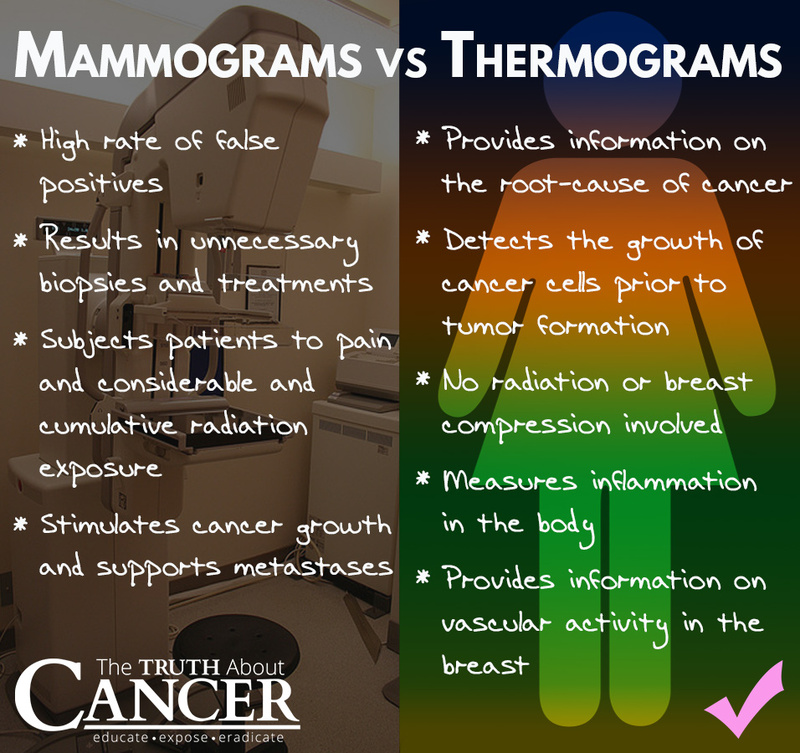 We hope you'll take the time to educate yourself on the benefits of thermography and set up an appointment for your first thermogram! You'll be glad you did! A safe harbor. Sometimes that's all you need. A place to restore, revive and renew yourself. As we launch into Breast Cancer Awareness Month this month, we'll be identifying some life-lines, buoys and safe harbor suggestions for those who are navigating the rough waters of a breast cancer diagnosis. Pass this on to anyone you know facing breast cancer. It's rough seas out there for many of them, but they can ease into calmer waters with the right compass and buoys. We'll be talking about some of these buoys this month and we look forward to you coming aboard with us. We know what it's like to be tossed into the overwhelming, tumultuous, open seas of a breast cancer diagnosis. One of the Velvet Lime Girls, Laura, faced this diagnosis in June of 2015 and everything changed here in our little studio. The seas were just-pretty-darn-rough for awhile, with our anchor in God holding us down and averting a major shipwreck. There's just SO much to process with a diagnosis of breast cancer. Do you go the conventional route? Alternative route? A combination route? What DO you do??? One thing is for sure ... you can't ignore it. You're in a storm and you need some direction. You need buoys that will guide you into a safe harbor. We found some! And when you find buoys that help, you just want to yell out at the top of your lungs, over the crashing waves, to everyone out there adrift in the sea, "We found help! Here are some buoys to safe harbor!" So, that's what we're going to do. We're going to yell out and point you in the direction of a few buoys we've found helpful along the way. 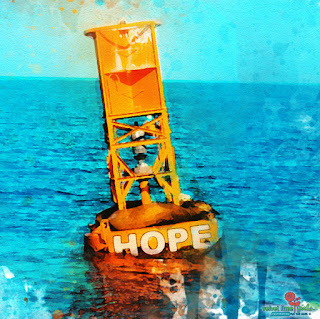 Our first beautiful buoy is a site called Breast Cancer Conqueror. Whether you choose a conventional, alternative or a combination route to overcome breast cancer, you'll find a treasure of resources, support and compassion here. It's a great place to start if you just don't even know where to begin. As their site says, you'll learn to "Never Fear Breast Cancer Again." The founder, Dr. Veronique Desaulniers, healed her own breast cancer naturally and documented the journey in her book, Heal Breast Cancer Naturally. Along the way she left a trail of research-backed medical studies and resources that make this book a big, bright buoy, helping women on their healing journeys and guiding women who want to prevent getting breast cancer. Go get the book today for yourself and then get one for your daughters, your mothers, and the friends you love. It's been the biggest buoy out there for Laura and we know it will help guide you into safe waters. Check out the heart of the healing program right here in this video: 7 Essentials Program. buoys that can lead to safe harbor. 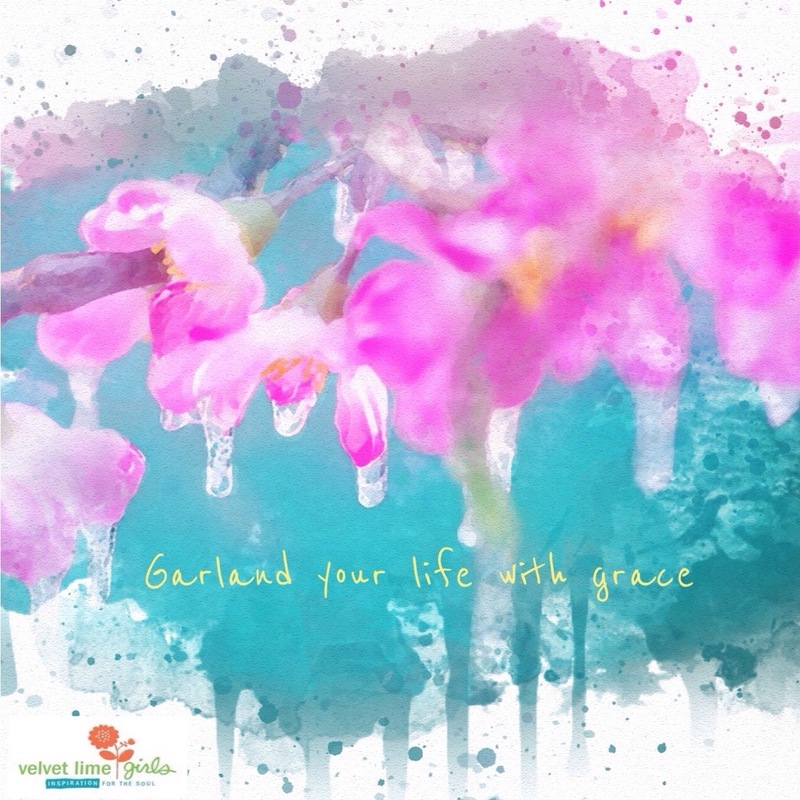 Garlands of Grace draping your life. Doesn't that sound like a lovely way to live? Oh, we think so, and these watercolor embellished flowers from our garden seem to convey just what a grace-draped life would look like... relaxed elegance and refinement in the midst of raindrops and watercolor-splashes. What a beautiful way to live. When we read this passage below from The Message today it inspired the colorful splatters above and brought some new insights about Wisdom. "Above all and before all, do this: Get Wisdom! So, we're on a little mission around here in our studio to Get Wisdom. And just like this slender branch of buds, we believe Wisdom will garland our lives with grace.